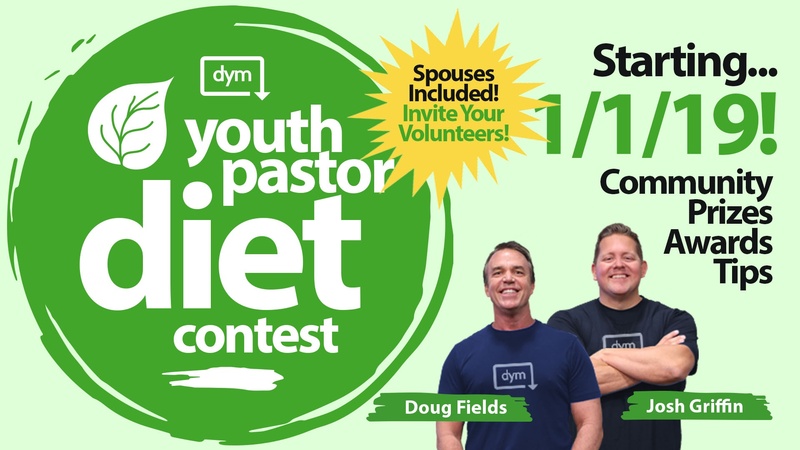 Join us for the DYM Youth Pastor Diet Contest! Prizes, Awards, Tips, Community - sign up NOW and feast for the holidays ... your first weigh in is 1/1/19! 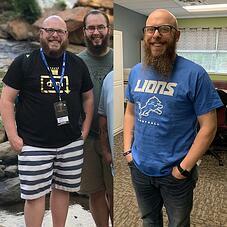 A few years back I had the most success I’ve ever had when I started and hosted a community-wide youth pastor diet. It worked! I wasn’t alone. I was challenged to play, compete, and enjoy the connections with other youth workers who were feasting on pizza, Taco Bell, and donuts. I had a ton (really?) of fun. 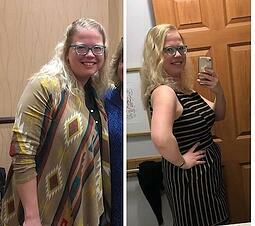 I want to do it again… and some of the DYM team is joining in! Get on the email alert list today! Registration opens VERY SOON ... and wait until you see the PRIZES!!!! We’ll add to this FAQ page as you have further questions. If you’ve got a question send it to burpees@downloadyouthministry.com. After you register for the contest on Downloadyouthministry.com you will be able to download the complete contest details. It includes details on the YouthPastor Diet website for your weight … AND… an invitation to our closed/private Facebook Group. Boom! So simple. Do you have to be a full-time Youth Pastor to enter the contest? No!! We want youth pastors, volunteers, spouses… it’s more fun when it’s the youth ministry tribe—the larger community playing. So, invite whoever will help motivate and encourage you. The cost is only about 20 cents a day for the duration of the contest ($30 - minus any level membership discount). Can I still join the contest after 1/1/19? Absolutely! Those who started on January 1st will have a slight advantage over you, but this is a 90-day contest so there’s plenty of time to join us, jump in the competition, and have fun. Don’t you guys know that fat loss is different than weight loss and it should be a fat loss percentage rather than a weight lost percentage? I want to hear more about last year! Help me out? You bet ... the Third Decade in Ministry has a great podcast on the subject you HAVE to listen to! 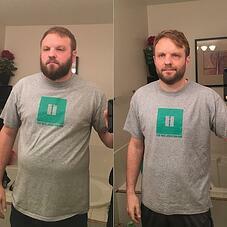 Doug seems like he’s in much better shape than Josh—is he participating too? Absolutely! Doug and Josh work out together about 3x a week, and Josh eats about 3x as much as Doug. But, Doug is in this contest to win it!